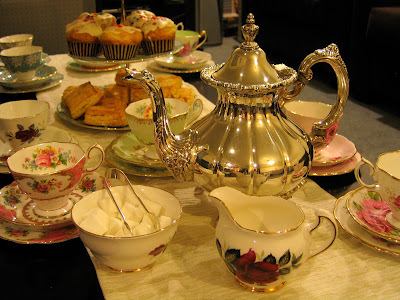 After the success of my first tea party in June, I have decided to hold them twice a year. The next one will be on the 20th November, from 3pm–5pm, at my house in Richmond, Christchurch. 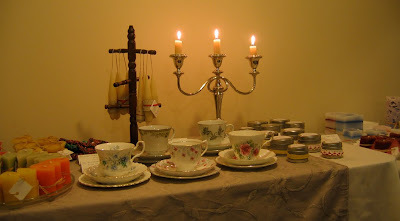 Once again there will be vintage teacups, cupcakes, candles and great company. Come along to do some early Christmas shopping, treat yourself, or just enjoy the tea, baking and company. I have lots of new candles, including some outdoor citronella candles, perfect for summer bbqs. I will have my full range of candles, with some great specials, espeically on the older candles! 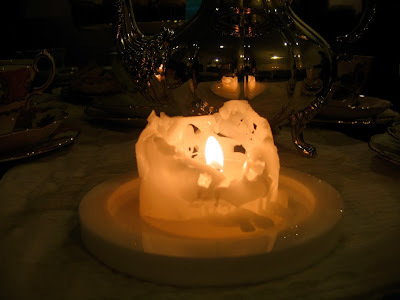 There will also be a selection of lit candles, as they really come alive once they are lit up. Please RSVP by the 17th November if you wish to attend. This is so I can confirm numbers, and send guests my address. You can RSVP via the facebook event, or by emailing me on rose [at] roseinthorns [dot] co [nz]. Feel free to bring a friend – invite them via facebook, or let me know when RSVPing. Grab a seat, that's a great idea! I'd love to take the Tea Party on the road, but I don't think it would be economical to do so, unfortunately. If someone wanted to organise one in their town, and got sufficient numbers to make it worth the journey, I would definitely consider it!